The entire kitchen area should have a positive effect on your family and visitors. Also, the colors used here should enhance, not diminish, everyone’s desire to be part of the eating or dining experience. For example, choosing something like blue or purple for the walls, although soothing, is normally avoided in kitchen decorating since these colors tend to decrease appetite. 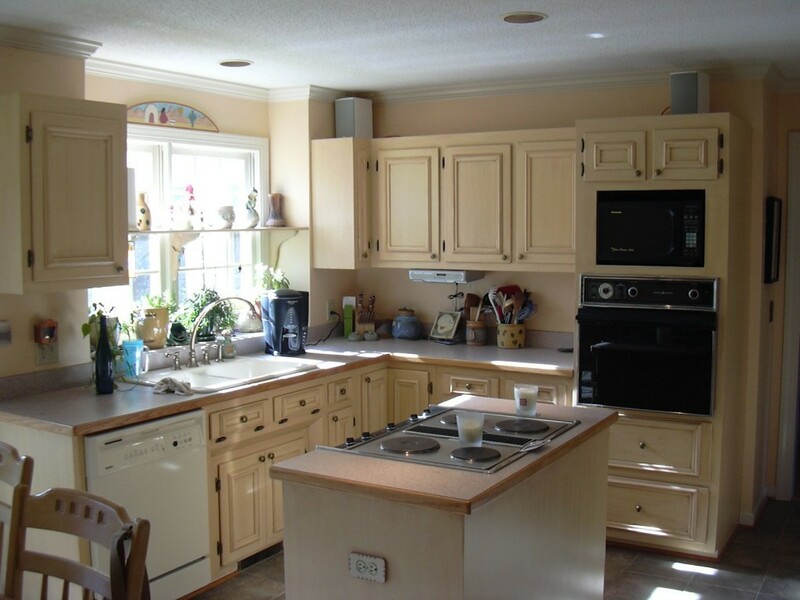 However, neutral colors such as white, beige or taupe are really popular for a lot of traditional kitchens. Also, these colors work well with a variety of kitchen cabinet colors and appliance colors. As an alternative, warm colors such as yellow or orange, and even green, can be used as a base color or highlight in your kitchen to make it ‘pop’. One exceptional situation is small kitchens. If you have a really small kitchen, you might choose white since lighter colors make rooms look larger. Also, you can dress up the area with with some colorful tile work or other decorative fixtures to make it more interesting. For a smooth overall look, the color that you choose for the room walls should compliment the look of the kitchen cabinets. This is something that you should definitely discuss with us because the effect of wall and cabinet matching is important for a uniform effect of color and design in the entire room. Good Faith Paint Co. is a professional painting company, we are experts in painting, residential interior and exterior restoration services, including cabinet refinishing. If you’re located in Raleigh, Cary, Wake Forest, Rolesville, North Raleigh, North Hills, Knightdale, Brier Creek, Apex, call our office at (919)-368-8647 for a FREE In-Home Estimate Online.